Glasses have become a huge part of who I am and are a major consideration when planning my daily outfits, but with the colder and wetter months now upon us I’ve decided to change things up and refresh my look by wearing contact lenses, and leaving my glasses at home. 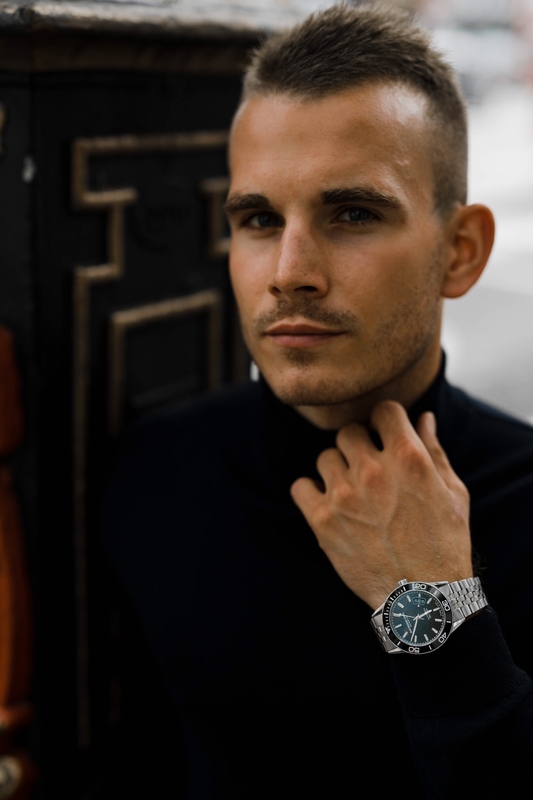 Things aren’t always straightforward as a specs wearer and the unpredictability of the weather can make wearing glasses really rather uncomfortable, contacts give you more freedom with your outfit and enable me to fully express my personal style without being hidden behind my frames. I started trialling contact lenses from Specsavers a few months back and initially just wore them in the gym and at rugby training, both with great success but I’ve started to love wearing them more and more on a daily basis. As my wardrobe has gradually transitioned into Autumnal fashion I’ve found myself enjoying the freedom of not wearing glasses and I’ve come to realise that some outfits are just better without specs. Contact lenses won’t clash with what you are wearing and you don’t have to compromise on your personal style. Yes, glasses can compliment a look but they can also get in the way (especially as I like more ‘statement’ style frames) and take the focus away from your clothes. 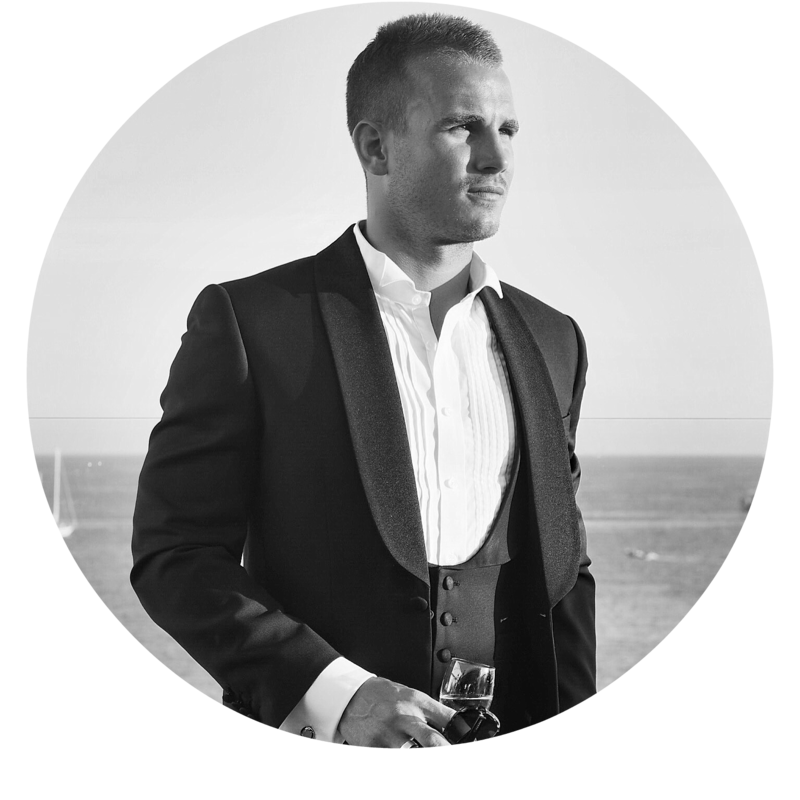 I’ve found that wearing lenses often gives me more freedom with the clothing I choose, particularly when wearing a classic outfit and my glasses would have previously done all the talking. 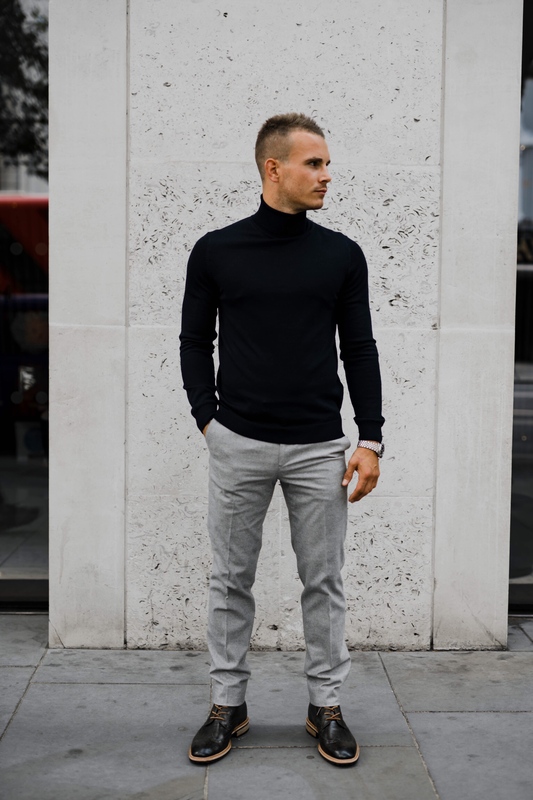 If in doubt this Autumn I’ll be wearing a trusty merino roll neck and tailored trousers, most probably with leather boots for the ultimate in smart casual and comfort. – On ‘Contact Lens Days’ Pick A Statement Piece – Build your outfit around something stand out and pair with more regular, classic pieces of clothing. I usually like a patterned or textured coat or a stand out pair of shoes to make a real statement on a gloomy Autumn day. 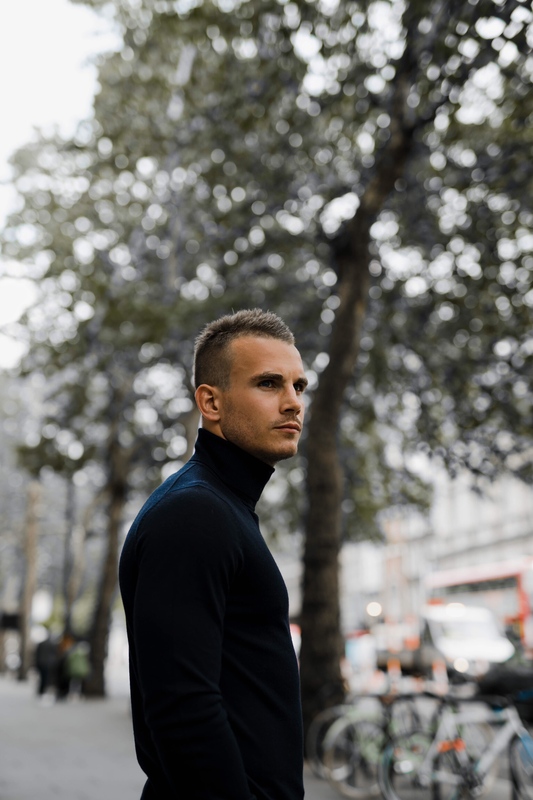 – Invest In A ‘Transitional Jacket’ – With fluctuating temperatures in Autumn, a lightweight jacket is very handy, ideally look for something wax and waterproof. 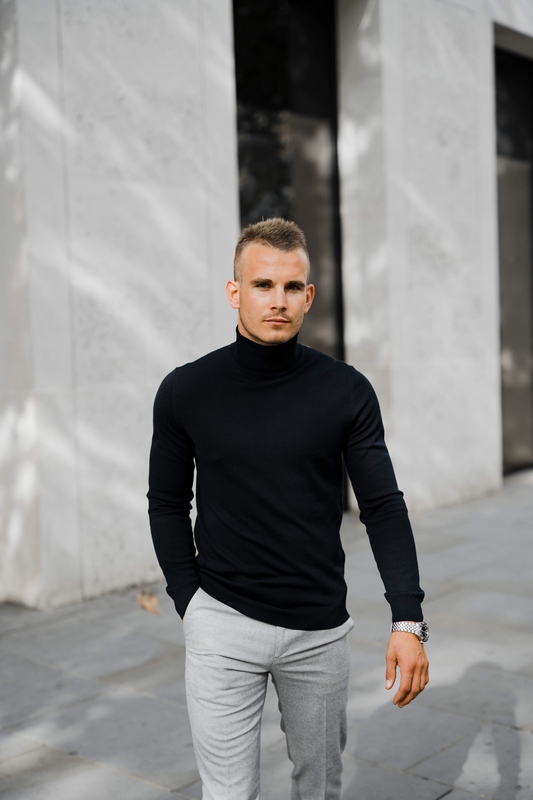 – Roll Necks Are A Man’s Best Friend – I’m a big fan of roll necks and in particular for those smarter occasions, a fantastic alternative to a shirt with the added benefit of no ironing required! 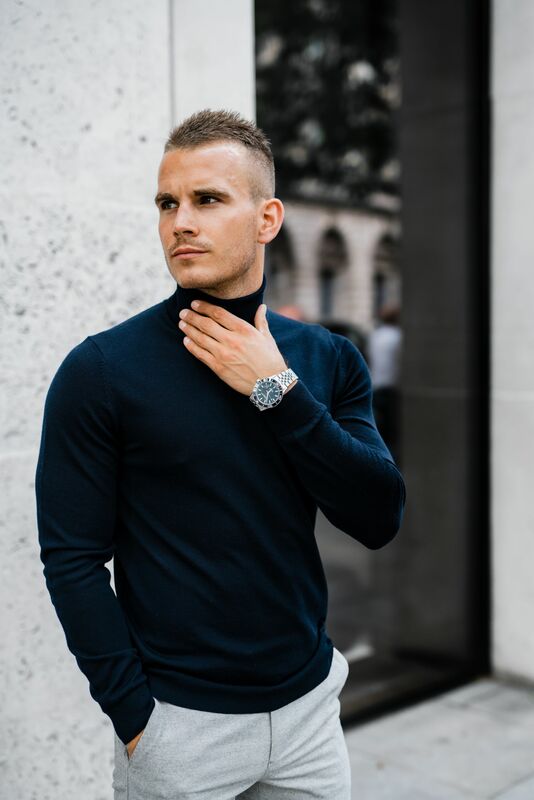 – If In Doubt, Wear Leather – As much as I love my suede shoes, Autumn is a risky time for suede and if in doubt, wear a pair of leather brogues or boots to stay dry and comfortable. 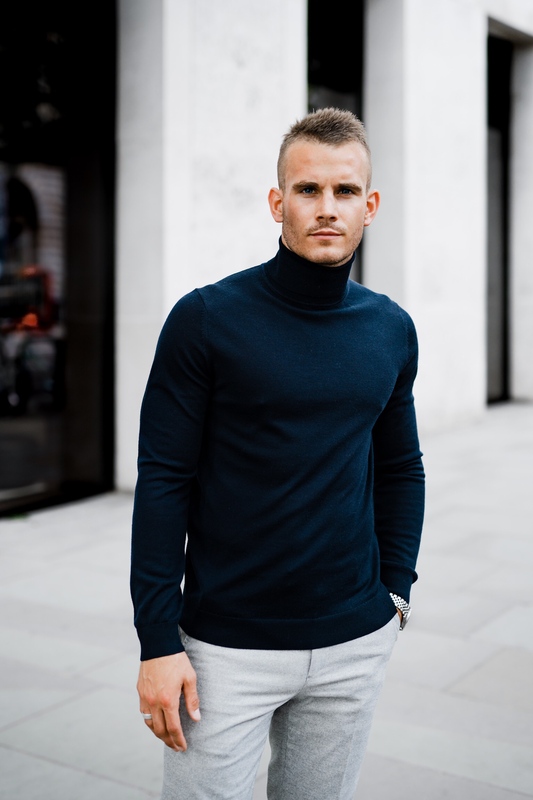 – Layer Up – An Autumn must, pair a lightweight knit with an over-shirt or bomber jacket and if the weather changes you too can mix things up. – Always Check The Weather – It may sound basic but have a quick look at the forecast when you wake up and if it’s scheduled to be a day of downpours, that’s the ideal day for contact lenses! For more information on Specsavers’ contact lens collection and for booking a contact lens consultation click here. How will you be changing things up this season?